Preventing needless suffering: When to use chemo for ovarian cancer? A woman who's been diagnosed with breast cancer can reasonably expect to be treated with surgery, radiation, chemotherapy, and depending on the type of tumor, hormonal treatments. While surgery is quickly accomplished (though, of course, recovery isn't always), chemotherapy can last a year, and hormonal treatments even longer. It's also known that chemotherapy, depending on exactly which drugs are used, can be accompanied by some pretty unpleasant side effects. A new report, published in the New England Journal of Medicine, provides hope that for some women chemo might not be needed. For women who have been diagnosed with early stage breast cancer (learn more about cancer staging here), exactly which set of treatments they will undergo depends on a number of characteristics. For example, the presence or absence of hormone receptors on the tumor; the number of lymph nodes, if any, involved; the age of the patient and her menopausal status, are all taken into consideration. Dr. Fatima Cardoso of the Champalimaud Foundation in Lisbon and colleagues wanted to ascertain whether adding genomic information to clinical information could improve decisions on which early-stage breast cancer patients would or would not benefit from chemotherapy. They used two measures of risk for women diagnosed with early breast cancer to see if decisions about chemotherapy based on those tests would improve accuracy of prediction of progression-free survival. The first was the clinical risk, a low clinical risk being defined as "the 10-years probability of breast-cancer-specific survival without systemic therapy of more than 88% among women with estrogen receptor (ER)-positive tumors and more than 92% among women with with ER-negative tumors." The second —the genomic risk — was a 70-gene test that gave a gene profile of a woman's tumor. Patients in groups 2 and 3 above (those with discordant clinical and genomic risk profiles) were randomly assigned to receive or not receive chemotherapy. The primary results: Patients in group 3 above who did not received chemo had a survival rate without metastasis of 94.7 percent at five years. 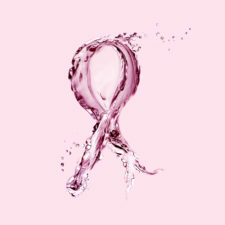 Those women in group 3 who did undergo chemo had a five year survival of 95.9 percent. Thus, if basing the chemo decision on group 3's attributes,chemo seemed to make little difference in survival rates. Granted, this is an oversimplification of the study results, but if confirmed by future studies, it might be a means of decreasing the exposure of women with early breast cancer to chemotherapy. Ascertaining the 70-gene profile of patienst is not cheap but neither is chemotherapy, and the financial balance will tilt more as genomics tools improve, which will make insurers more likely to cover the costs. If this holds up, we may be seeing better decision-making for women with breast cancer.